There are a lot of people out there that like to watch the world burn. They go out of their way to mess things up and make life unbearable for everyone around them. But there are also people who live their life with the best intentions that just never seem to work out. We all know someone like this. They’ll do everything possible to do good, but there is some voodoo magic working behind the scenes to turn everything they do into a disaster. It’s not their fault. They’re trying their best, but let’s be honest, their best is never good enough. Nick/Steve looks so done with everything. He probably already has regrets marrying into a crazy family. Receiving a cake with the wrong name on it is now the cherry on top of a less-than-ideal extended family experience. 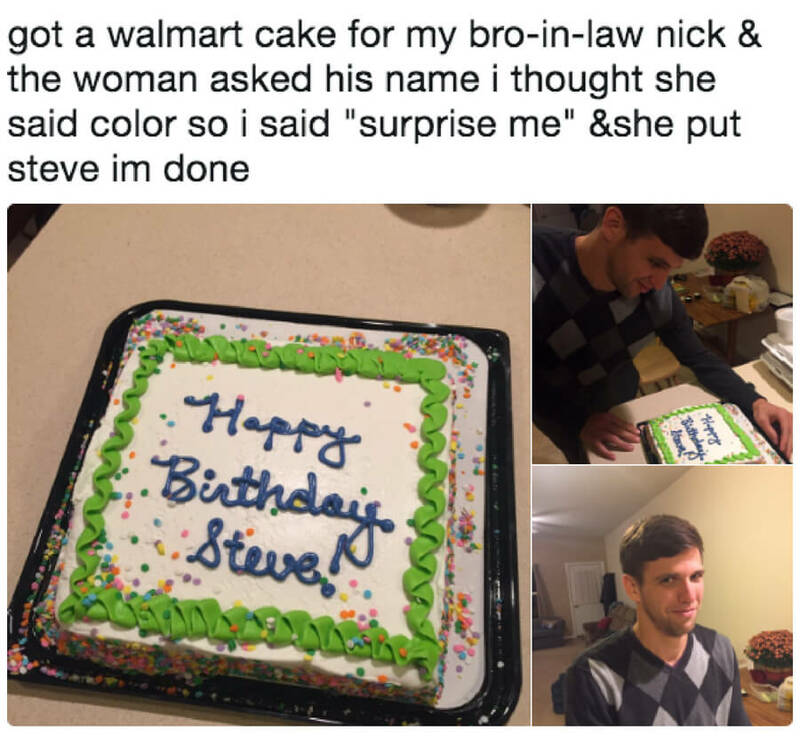 Now he’ll forever wonder who Steve is and if everyone likes Steve more than him.